Spring is the time for planting the vegie garden and with that comes the influx of insects all keen to lay eggs on the lush new vegetation. But not all insects are pests in the garden. Some insects and their young are beneficial and predate on those things that harm your plants. The difficulty is telling apart the good guys from the bad. This is made all the more complex because different insects develop in different ways. Take the preying mantis for example, one of the good guys in the garden. The mantis is an ambush predator. Both the nymphs and the adults wait motionless until prey comes within reach and then grab it with their raptorial forearms. 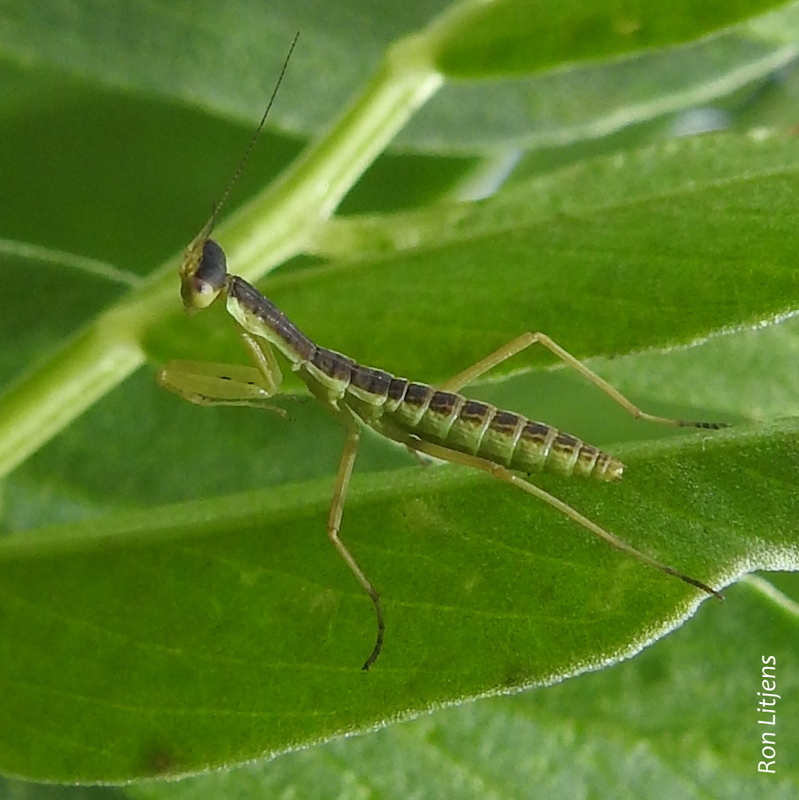 Baby mantis are easy to recognise because they look exactly like the parent, only wingless and smaller (see picture left). Their lifecycle is known as partial metamorphosis (hemimetabolism). The young are called nymphs and hatch looking very similar to the adult. They grow larger through a series of moultings until the final moult when the winged adult emerges. Other insects that develop in this way include grasshoppers, crickets and earwigs. Ladybird Beetles are a different proposition. Both the adult beetle and the larvae are voracious eaters of aphids and scale insects and may eat up to a hundred insects a week. They are also good guys in the garden. The problem is the larvae look nothing like the adult (see picture right). Like butterflies and moths, beetles go through a grub (caterpillar) stage after hatching. Then they pupate and emerge as adults. This is called complete metamorphosis (holometabolism). 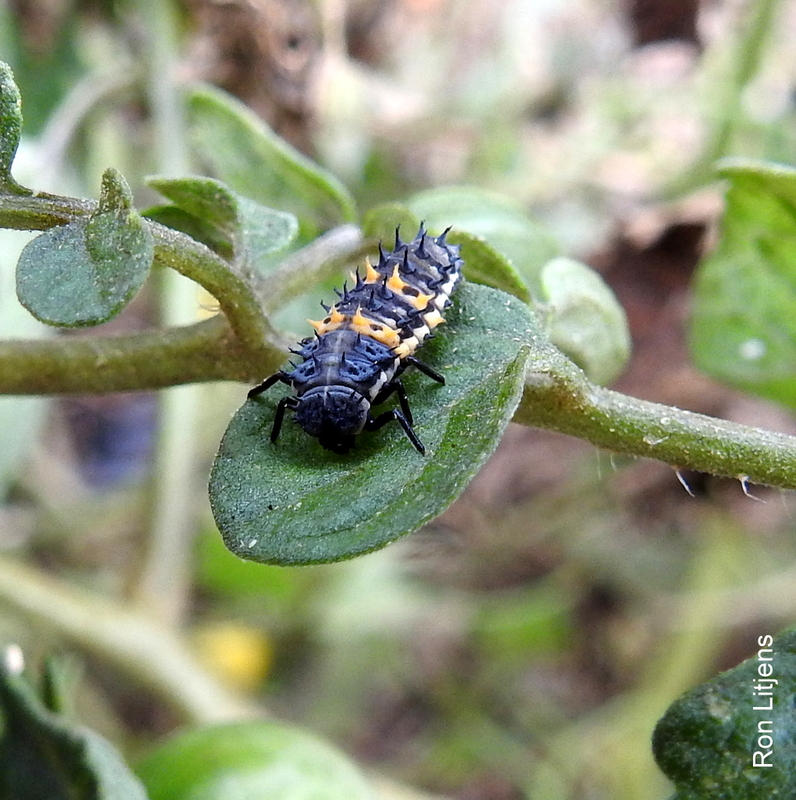 The trouble is the very beneficial Ladybird Beetle larvae look like pest grubs, ugly ones at that. So be aware when you wage war on insect pests in your garden that you don’t kill your allies with friendly fire. Looks can be deceiving. I am extremely grateful for the picture Ron put in his article of the ladybird larva. I think I may have come close to ridding our garden of a friendly bug without this pic. I’ll wear my reading specs next time I look for pests. Thanks.